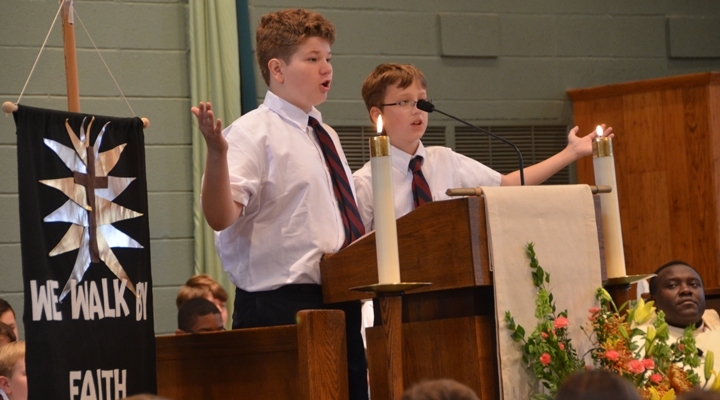 Each year Resurrection-St. Paul School picks a theme that reflects our values and Catholic identity. Throughout the year, that theme is incorporated in the liturgical practices, classroom instruction, the vocations cross, and is applied in the outreach that we practice. Give us strength when we feel weak. Through injury, illness, and hardship. the ability to use them lovingly. Saints and true heroes of God.